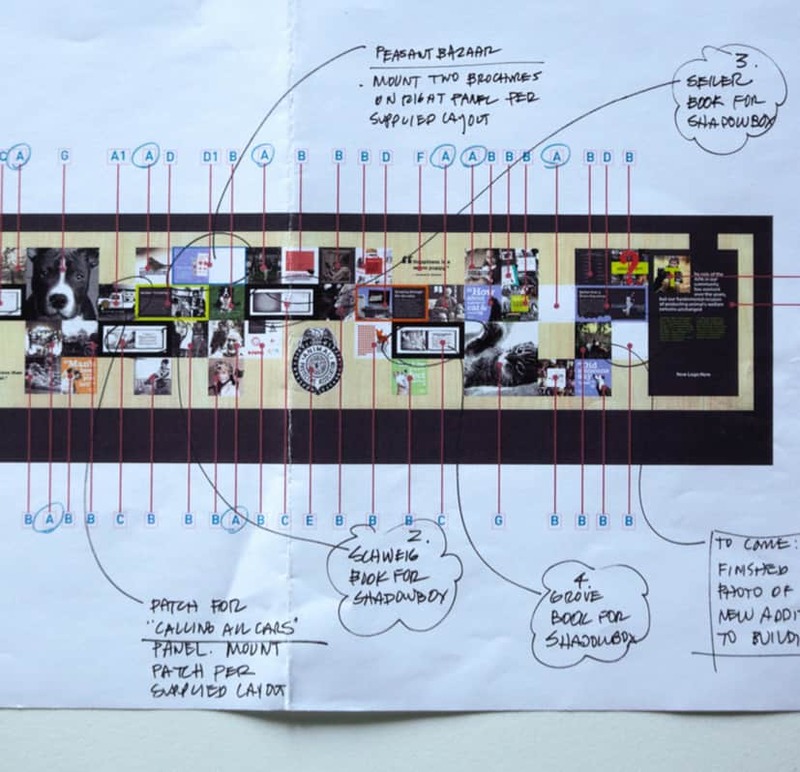 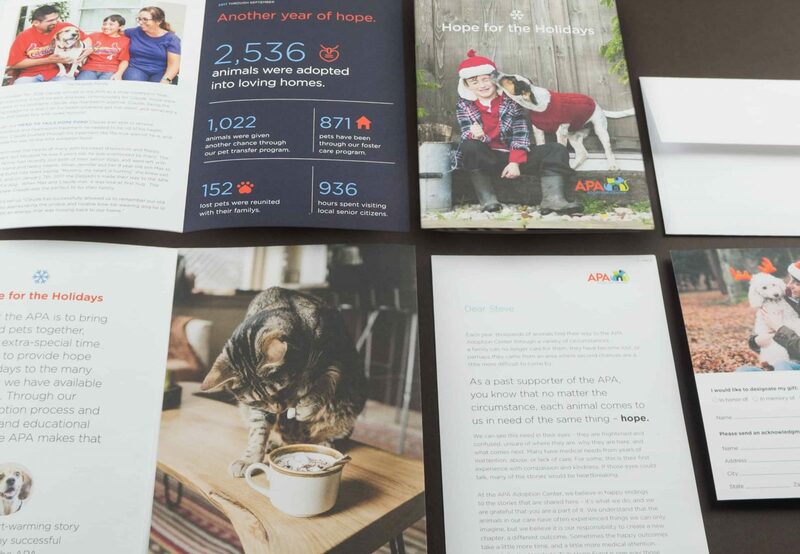 Evolve the brand and all communication materials of a 90-year-old “animal shelter” to that of an “adoption center.” Through a targeted marketing strategy, engage potential adopters and contributors around our new purpose and three primary brand pillars – adoption, wellness and education. 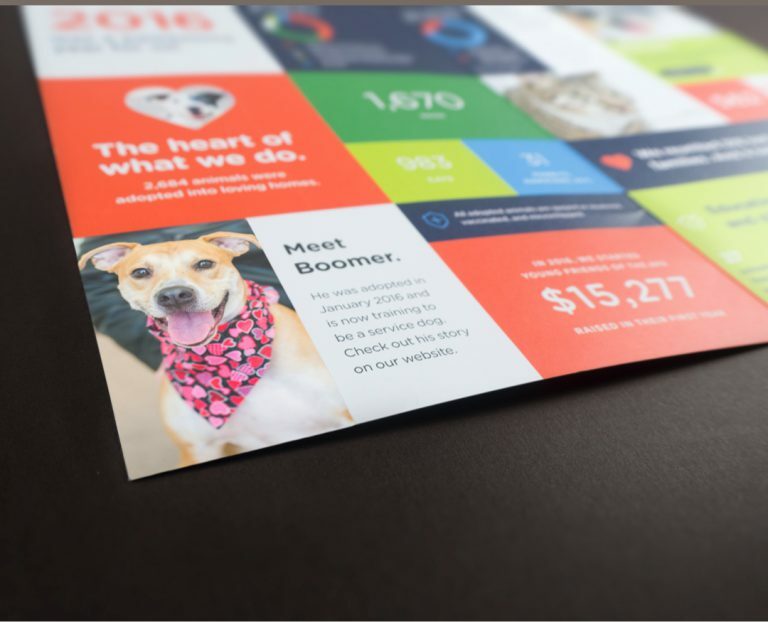 Communications rely heavily on pet and people imagery, relatable success stories of adoptions, visualization of dynamic performance data, and infographics. 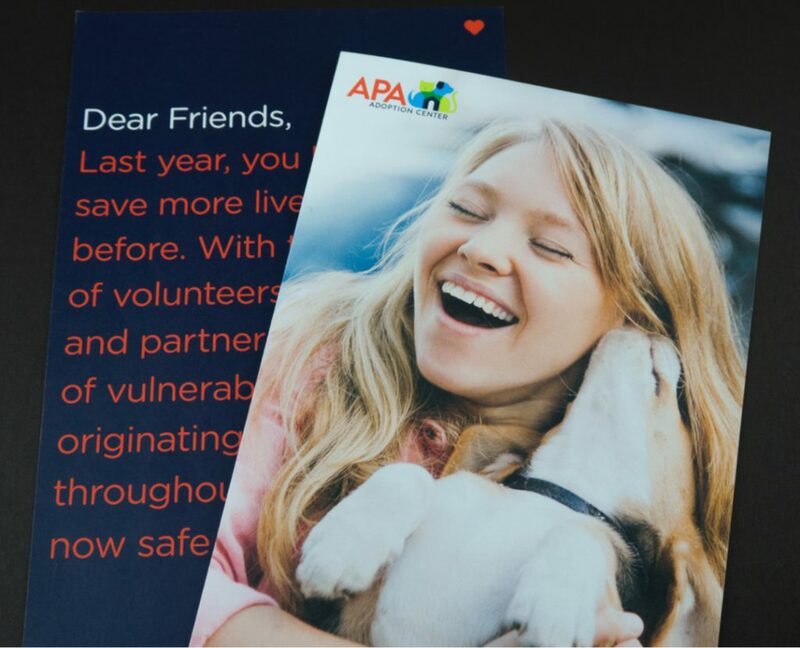 Through our high-quality programs, we are building friendships that last a lifetime. 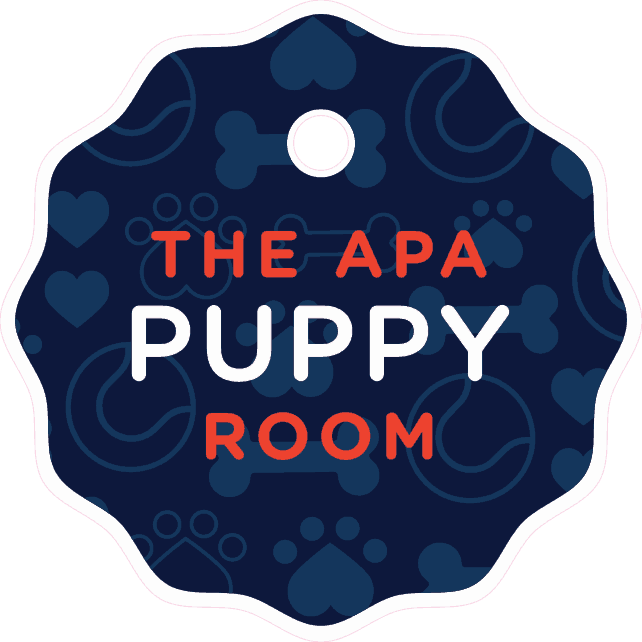 The new brand goes well beyond cute photos of puppies and kittens to that of a well-run, open admission organization dedicated to finding a safe, loving home for every adoptable animal. 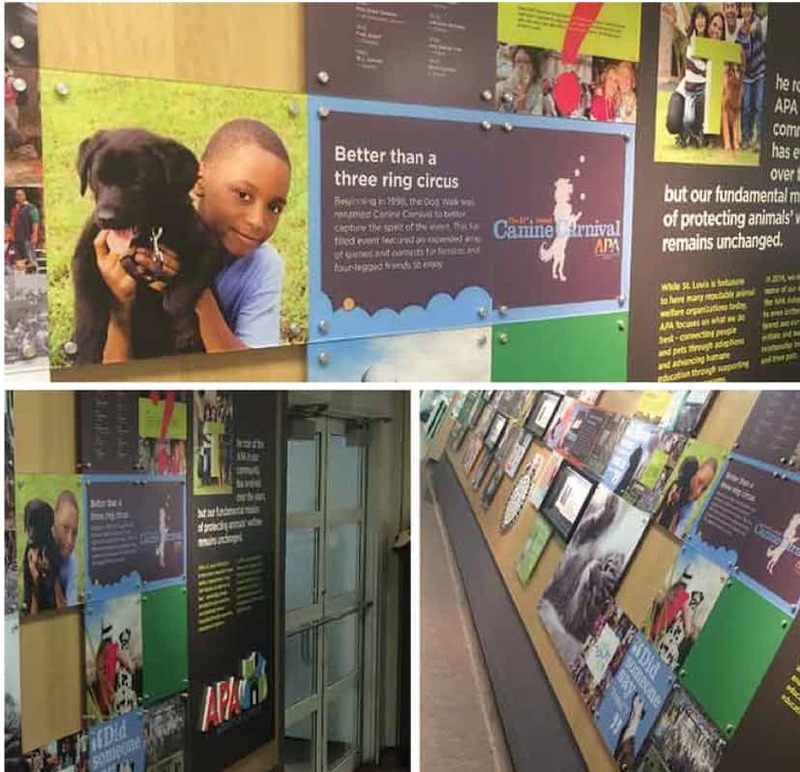 We are focused on not only adoptions, but wellness – through our house vet clinic; and education – through many learning programs for both you and your pet. 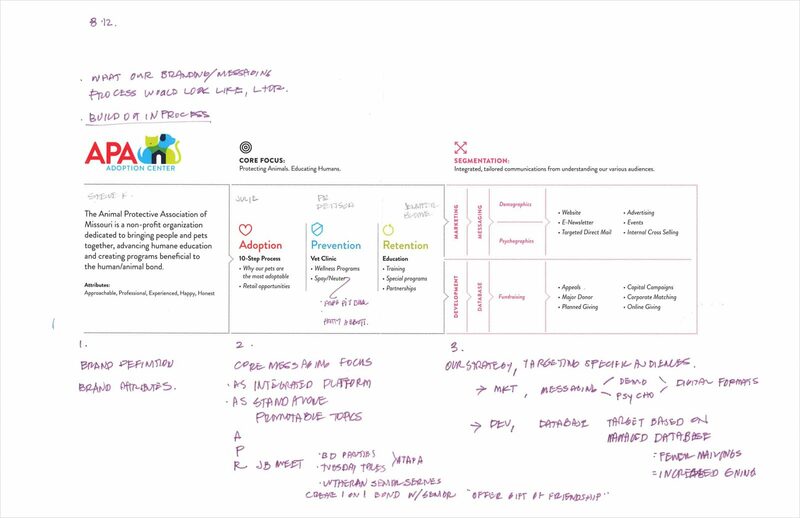 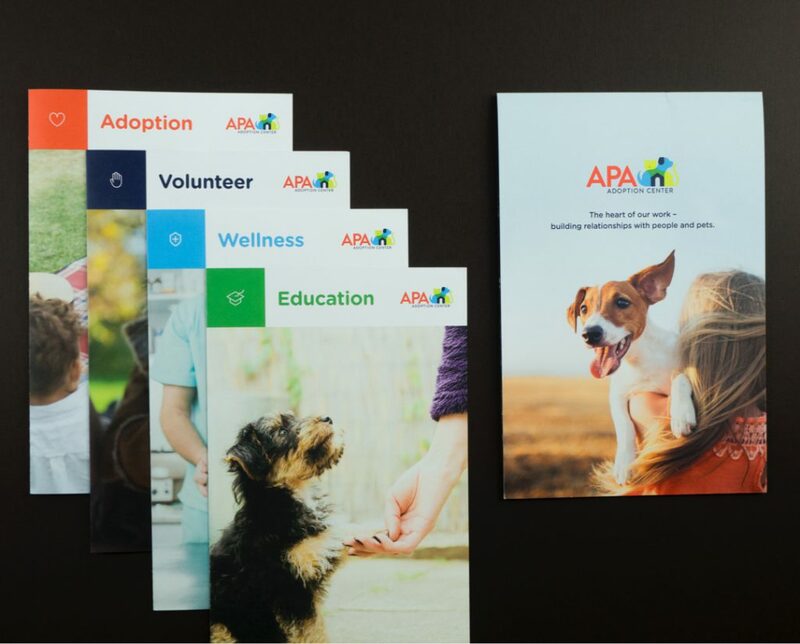 Building on our foundational brand messaging platform, the APA Adoption Center communication materials consistently deliver our unique brand voice … an emotional – yet smart – story of a well-run nonprofit organization.